US Army sergeants are learning they have to practice their writing competence as well as their marksmanship skills if they want to be promoted. Recognizing the importance of concise communication, the military has decided to mandate certain standards for soldiers to pass some advancement examinations. Soldiers who want to move up the promotional ladder are finding that knowing when to use “there” “their” and “they’re” is required to communicate effectively up and down the chain of command. The Pentagon has issued new guidelines for all branches of the military and has have encouraged soldiers to take courses in English composition. 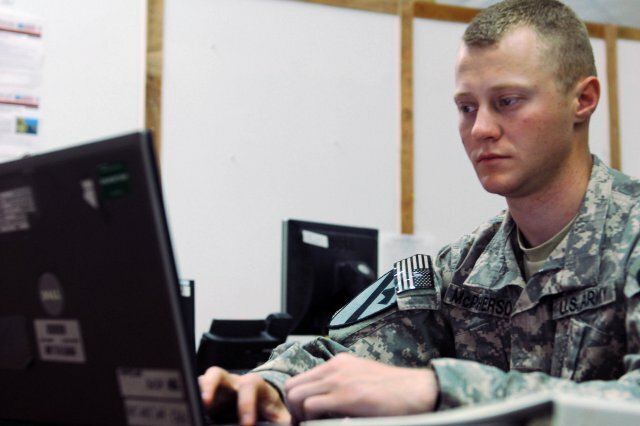 The website Military.com wrote about the military’s new standards for writing and grammar in an article, Army to Require Polished Writing Skills for NCO Promotions. Grammar and math are two subjects people seem to have either an aptitude or aversion for, and it’s difficult for many adults to go back to school and confront them again as adults. The added benefits of modern technology sometimes entice us to cheat, and many people will get away with it if they can. “Just Google it” is a universal phrase these days, and if you can’t remember your high school algebra, Mathway is just a click away to solve problems for you. When you write an important email, your hope is that a polished and perfect message reaches your recipient. Wordzen uses professional, human editors to review each outgoing email and transform it into a meaningful communiqué with flawless sentence structure, excellent grammar, and a tone that fits the objective. As an added bonus, our users have reported that they learn from seeing the changes our editors make and are able to create more polished messages themselves. If you work with clients or colleagues who scrutinize your emails, you should consider using Wordzen on a daily basis. Most people say that after using Wordzen, they gain a high level of confidence about their emails while also saving time and increasing productivity. You can install Wordzen by clicking here.